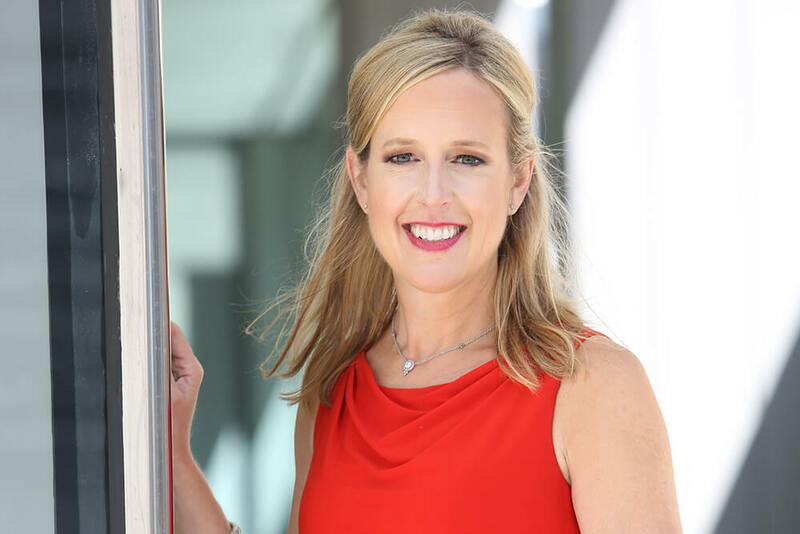 About Us | Stacey Hanke, Inc.
Stacey is author of two books; Influence Redefined…Be the Leader You Were Meant to Be, Monday to Monday® and Yes You Can! Everything You Need to Know From A to Z to Influence Others To Take Action. Her books provide practical and immediate skills and techniques that have given thousands the ability to enhance their influence Monday to Monday®. Stacey helps individuals eliminate the static that plagues communicative delivery — to persuade, sell, influence and communicate face-to-face with a clear message. She has trained and presented to thousands to rid business leaders of bad body language habits and to choose words wisely in the financial industry to the healthcare industry to government and everyone in between. Her client list is vast from Coca-Cola, FedEx, Kohl’s, United States Army, Navy and Air Force, McDonald’s, Publicis Media, Nationwide, US Cellular, Pfizer, GE, General Mills and Abbvie. Her team works with Directors up to the C-Suite. In addition to her client list, she has been the Emcee for Tedx. She has inspired thousands as a featured guest on media outlets including; The New York Times, Forbes, Entrepreneur, Thrive, SmartMoney magazine, The Economist and Business Week. She is a Certified Speaking Professional—a valuable accreditation earned by less than 10% of speakers worldwide. Her work ethic was forged in her childhood years, growing up on a farm. She gave up the pitchfork to take her message across the country, and to help leaders see and hear what their audiences see and hear rather than what they believe to be true. She gives executives what has been described as the “greatest gift of all” – to see themselves as others see them. She helps us to influence others to take action Monday to Monday®. Maribeth has been working with clients to help them develop and deliver key messages for over 15 years. She works with senior-level executives, marketing managers, sales representatives and technology professionals to help them raise the level of their communications. The strategy is to help clients leverage their individual strengths and develop new habits to speak more clearly and with more influence. Prior to her work as an executive coach and mentor, Maribeth worked as a newscaster. She moved into the financial services arena, where she held leadership positions in training, marketing and investor relations. Maribeth is an instructional designer who developed product and markets training for internal and external clients. She developed marketing campaigns aligned with quarterly business objectives and has delivered information to industry analysts. Maribeth has traveled to Europe, Asia and South America delivering training programs. She has extensive experience working with professionals in the financial services, pharmaceutical, media and food industries. Maribeth’s strengths are in helping her clients develop the necessary communication skills to help differentiate them in any speaking situation. Her goal is not to change a person, but to highlight and enhance what works for their authentic self. Maribeth holds a B.A. degree in Mass Media and History from Marietta College. She lives with her family in Illinois and volunteers her time and skills to Quinn’s Corps and Stand Up for Kids charities. Sarah brings a broad spectrum of experience to her training career. She started training in 2000 with Wyeth Pharmaceuticals (Pfizer), educating sales leadership and their teams to use market trend data to maximize their growth opportunities. Her passion for training and education led her to the field of continuing medical education, securing pharmaceutical support in physician education. This role included conducting needs analyses, program design, facilitation and ROI analysis. Sarah started a private health and wellness coaching practice in 2007. She privately coached individuals in the areas of life balance, nutrition and exercise. Her passion for teaching, guiding, motivating and training helps people realize their own potential. As a consultant with Stacey Hanke, Inc., Sarah travels the country teaching people from all industries how to communicate for success. She is passionate about the power behind the spoken word and thrives off of helping business professionals realize their own impact value. Sarah holds a B.A. in Speech Communication and Organizational Development from Northern Kentucky University. Julie’s professional experience shows her commitment to education. She has worked in admissions at the University of Iowa and the Milwaukee School of Engineering where she represented the universities at the local and national levels. Through working in admissions, she has extensive experience in recruitment, keynote addresses and question-and-answer situations. Julie also worked with the Milwaukee School of Engineering’s Business Excellence Consortium where she coordinated the Lean, Six Sigma, and project management training for executives. Her participation in executive-level training allows her to incorporate that learning into her classroom. Julie has a passion for continuous improvement that is important at every level of an organization. Julie earned her B.S. in sociology at the University of Wisconsin - La Crosse and her M.S. in College Student Personnel with an emphasis in Counseling at Indiana State University. Hailing from the Milwaukee area, Julie and her husband have two sons. She enjoys spending time with family and friends, entertaining, reading, and yoga. She looks forward to sharing knowledge with executives who want to improve their communication and level of influence. Crystal has been working with executives in both sales and training for over 10 years. She works with executives and sales representatives to enhance their selling and influence skills. Her focus is to help clients improve their delivery skills to be more influential in all business situations. Crystal started her career in marketing communications within the animal health industry. Her passion for sales and training led her to a successful career as a biologic specialty sales representative. She has developed and delivered sales and communication training to pharmaceutical sales representatives and executives throughout the pharmaceutical industry. Her focus remains on effectively delivering techniques to enhance executives' presence and influence. She has received numerous awards, including President’s Club recipient, Personal Sales Best for 12 consecutive weeks and STAR award for her work in developing and implementing Hmong sales and marketing initiative throughout the Twin Cities area. She is also a Certified Medical Representative. Crystal holds a B.A. in Marketing Communications and a B.A. in Animal Science from the University of Wisconsin-River Falls. Crystal’s home base is Minneapolis. Cindy has over 20 years of experience in talent management, organization development, employee engagement, and talent acquisition. She has held positions in global organizations in industries including technology, IT consulting, retail and pharmaceuticals. Cindy has a Bachelor of Science degree in Business and Psychology from Iowa State University and a certificate in Organizational Development from DePaul University. She serves as a mentor in the Chicago Chapter of the Healthcare Businesswomen’s Association. She enjoys speaking to women’s organizations on the topic of cultivating personal resilience and thriving in an environment of constant change. Cindy’s home base is Chicago, where she lives with her husband and two teenage sons. Mindy has over 18 years of experience working with healthcare professionals and business leaders. As a communication coach, she helps clients express their authenticity while increasing their influence as communicators. She began her career working in pharmaceutical sales and field sales training. Those roles revealed her strengths in sales performance, strategic business planning, and training facilitation. In 2010, Mindy took skills to the next level and founded an integrative health care company. Her team serves individuals and organizations with therapeutic options that improve quality-of-life outcomes. Her success as a business owner/operator is a result of her passion for helping others perform at their highest level. As a business leader in her community, she has served as president and board member of a local business association. 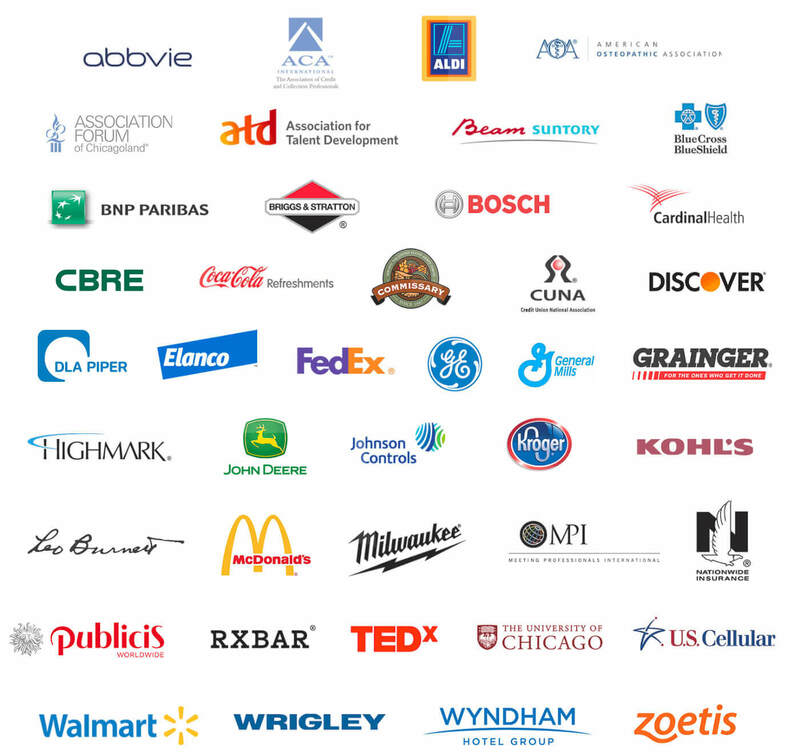 The association supports over 200 business members through marketing, advocacy, education, and community events. Mindy earned her B.S. in Biology from the University of Notre Dame. Her home base is St. Paul, Minnesota, where she lives with her husband and two boys. Amy has over 15 years of exceptional administrative and customer services skills. She completed her higher education at the University of Wisconsin-Oshkosh with a Bachelor of Arts degree in the Psychology program. She has worked in retail, health care, manufacturing, and business environments tackling everything from HR to customer service, purchasing, and administrative duties. Amy’s passion is helping her team in all facets of the behind-the-scenes operations. Originally from beautiful Door County, Wis., Amy has settled in the heart of the Fox Valley area with her husband and two children. Lisa is our business operations manager. She has worked more than 20 years in the health care arena. Her career began as surgical coordinator with the Green Bay Eye Clinic. Her main emphasis was on developing employees, coordinating all areas of the surgical office operations, while working with the leading opthalmalogist in the Green Bay area. While working at Wisconsin Oculoplastics, she focused on patient care in all aspects of the practice. From her past work experience she thinks the importance of communication skills is a vital part of our working world and personal lives. Her education is a B.A. in Business Administration from Lakeland College, Sheboygan, Wis., along with an Associate degree in Medical Office Mid-Management from Northeast Wisconsin Technical College - Green Bay. Lisa is located in Cecil, Wis., along with her husband and two daughters. She is actively involved in supporting her daughters in all of their sports and activities, and volunteering as a 4-H leader. 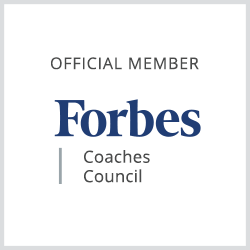 Stacey Hanke is an official member of the Forbes Coaches Council and a C-Suite Network Advisor. In 2017 she received the CSP™ (Certified Speaking Professional) designation.